West Valley, Ariz. – Benevilla is excited to announce the second Caregiver Connect Event of 2018 will be held Friday, August 24th at Lord of Life Lutheran Church in Sun City West. It will take place from 8:00AM to 1:00PM. Lord of Life Lutheran Church is located at 13724 W. Meeker Blvd, Sun City West, AZ, 85375. The Benevilla Caregiver Connect Event is a yearly series of 3 events providing family caregivers with resources and education that help them on their caregiving journey. This is the third year Benevilla has hosted these free events in the community. 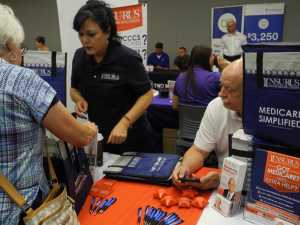 Thank You to our event series sponsors Golden Assist Senior Placement Arizona and Insurus Medicare Solutions. This event will feature keynote speaker Dr. Anna Burke of Barrow Neurological Institute. Anna Burke, MD, is a Geriatric Psychiatrist and the Director of Neuropsychiatry at Barrow Neurological Institute. She is board certified in psychiatry with a subspecialty certification in geriatric psychiatry by the American Board of Psychiatry and Neurology. The topic of her presentation will be Alzheimer’s 101. Dr. Burke’s expertise includes the treatment of challenging behavioral and psychiatric disturbances that result from neurological conditions. 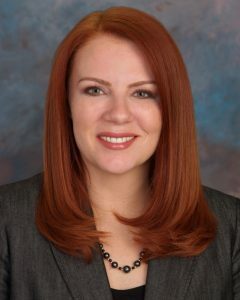 She is a member of the American Association for Geriatric Psychiatry, the Alzheimer’s Association International Society to Advance Alzheimer’s Research and Treatment and the Arizona Geriatrics Society. Additional expert speakers include Lora Johnson, Elder Law Attorney of Johnson and Associates and Shannon Arriola of Arriola and Associates. This event is free to the public. Please call 623-584-4999 to register. Registration is required. Join us for 3 informative presentations, a complimentary breakfast from Birt’s Bistro, vendor giveaways and a multitude of family caregiver resources. Benevilla invites all local businesses that provide services and products of interest to seniors and caregivers to sponsor a table at the Caregiver Connect Event on August 24th. Don’t miss out on the opportunity to connect and share your useful resources and business information to our local community of family caregivers. A sponsorship for a “Vendor Table” is only $125. If you wish to get even more involved, additional sponsorship opportunities are also available. Please call the Benevilla marketing team at 623-584-4999 or email marketing@benevilla.org to reserve your table today or for more information.